Post-event blog: Startup Europe at Web Summit! In case you didn’t know, Web Summit, Europe’s largest technology summit, was happening this week in Lisbon, Portugal. Startup Europe was there with the Startup Europe projects to talk to people about our events, activities and open calls! Web Summit has become “Europe’s largest and most important technology marketplace”, a crossroads where over 50,000 of the world’s most disruptive technological innovators meet in one place. On 7th- 10th November 2016, CEOs, cultural icons, key global leaders from the EU and national governments, startups, investors, leading academics and the world’s most iconic companies all gathered together in one single place: Lisbon. 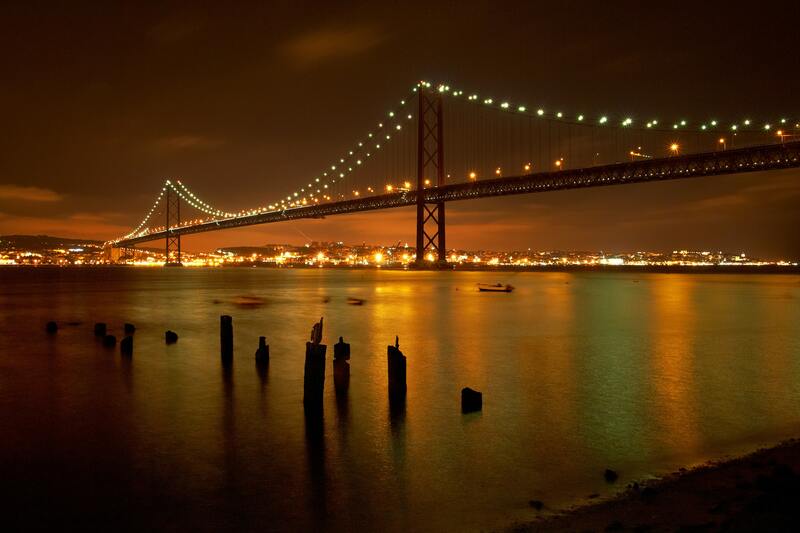 In fact, Lisbon was chosen as the location of this immense event due to its booming entrepreneurial tech scene, which has experienced exponential grassroots growth in recent years. The queue heats up on the first day to get into the main MEO arena. This year’s summit was held at the MEO Arena and its 3 connecting pavillions. The Startup Europe stand was in Pavillion 3, which was a prime location next to the summit’s second biggest stage and open networking areas. Here we had a collection of Startup Europe leaflets and flyers for each of the Startup Europe projects: Welcome, MY-WAY, Twist, Startup Scaleup and ePlus! Members of these Startup Europe projects, and their partners, were at the stand to explain their projects and get people involved in their activities! Veronica Rinaldin from Startup Europe project TWIST! Veronica was at the stand for 3 days, and spoke to many people! Catarina Azevedo from ePlus project with ePlus leaflets, plus flyers for their Nitro extreme acceleration event happening in France on 1st & 2nd Dec! Gabriela Fernandez from Startup Europe initiative Failing Forward! The Startup Europe stand at Web Summit! Tanya Suarez from Startup Europe project Startup Scaleup, talking to international media about the initiative. In addition, we had a special visit from Andrus Ansip, European Commission Vice-President for the Digital Single Market, at the stand, who discussed the concept of creating a Single Startup Market across Europe. Commissioner Ansip (right) discusses creating a Single Startup Market with Gianluca Dettori (centre, Founder of DPIXEL), Miguel Arias (not in image, Co-founder and COO of Carto) and Simon Schaefer (left, Founder of Factory & CEO of Startup Portugal). The viability of this idea was discussed at the Startup Europe stand, and it was agreed that a first proposal would be drawn up, with the possibility of starting this concept in Italy and Portugal. Carlos Moedas, Commissioner for Research, Science and Innovation speaking to the Startup Europe team at Web Summit. We also had a special visit by Carlos Moedas, the European Commissioner for Research, Science and Innovation, who also came to the Startup Europe stand at South Summit in Madrid. Overall, it was a great opportunity to speak to many people from all over the world who were interested in taking part in Startup Europe events, activities and programmes. We look forward to seeing you next year! €10 million funding to connect startup ecosystems across Europe! Ecosystem builders in Europe! Connect with your partners and apply for the €10 million call (ICT Call 32) to connect startup ecosystems in Europe! You have probably heard about the call (ICT-32-2017) which will open on 8 December 2016 to 25 April 2017. In case you haven’t, here is the key information! The call is looking for projects that help established startups and prospective tech entrepreneurs grow and achieve market success, and that raise awareness of ICT innovators in Europe under EU-funded ICT projects. Interconnect and create new synergies between 3-4 different Startup hubs across Europe per project, reinforcing ICT ecosystems for high-growth tech startups. Activities should focus on scaling-up companies by connecting key relevant stakeholders like tech entrepreneurs, mentors, corporates, customers, designers, media, investors and local authorities across different entrepreneurial ecosystems. Facilitating financing and improving the liquidity for European investments in fast growing ICT startups and scaleups, increasing their chances for a successful exit. Support services for EU funded innovators: “Innovation Radar” initiative. Establish a European-wide network of support centers for innovative researchers. Actions primarily targeted towards technologies developed in EU funded projects in order to turn their research results into marketable products and, preparing such innovators for success in the market place. Info day on 2 February in Brussels – more information to come soon! More info on “Startup Europe” and “Innovation Radar” initiatives.